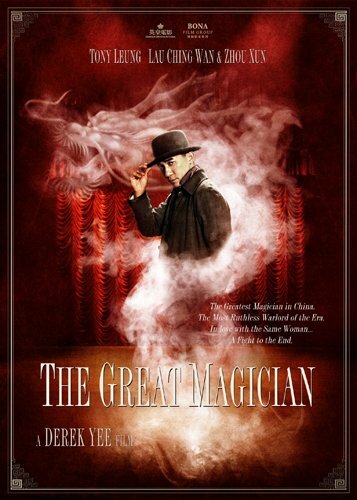 A couple of teaser posters for Derek Yee's The Great magician, starring Tony Leung Chiu Wai and Lau Ching Wan. The movie is the first time Leung and Lau have been in a film together since The Longest nite. The movie was originally to star Cecilia Cheung but she dropped out and has been replaced by Zhou Xun. I really like the designs for these two teaser posters. I'm intrigued how the film will play out, originally I thought it was going to be something like Christopher Nolan's The Prestige, but from the few bits of info released so far that doesn't seem to be the case. Derek Yee is a director who has a mixed track record for me, I'm hoping for one of his better efforts, the fact it stars two of my favourite actors should go a long way towards it being so. 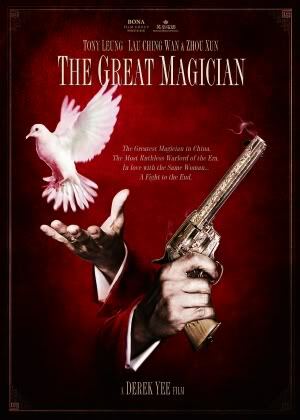 The Great magician should be released around Christmas time and I will be keeping track of it up until then.